During the last few months I have been buried in my cave… er… office to finish the OTHER book, and I have gone through a pretty traumatic family emergency (all OK now!). 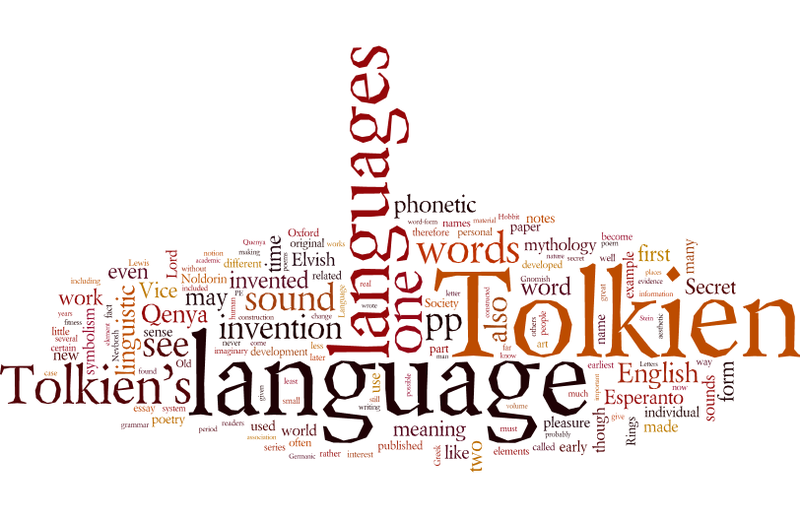 Adding to this mix the mad marking load that most academics have to face every May-June means that I haven’t really had a chance yet to take stock of reactions to the new Tolkien book I co-edited with Dr Andrew Higgins: A Secret Vice: Tolkien on Invented Languages. I am, therefore, taking this opportunity to reflect on the book, the research process, as well as the book’s reception out there. Today, I will sketch some of the ‘highlights’ of researching the book and I will answer a persistent question. Tomorrow, I am hoping to create a record (mainly for myself) of how the book has fared so far in reviews, social media, etc. A Secret Vice: Tolkien on Invented Languages is the first ever critical edition of Tolkien’s essay on invented languages (‘A Secret Vice’, first published in The Monsters and the Critics and Other Essays), to which Andrew and I have restored some parts that were omitted from the original edition. The book also publishes for the first time a new short essay by Tolkien on ‘Phonetic Symbolism’, as well as Tolkien’s notes and drafts for both essays, which contain some surprising mentions of contemporary Modernists (among a lot of other material of note). For me, one of the highlights of the research I undertook with Dr Higgins was the discovery of where and when exactly Tolkien delivered the talk. In the original edition of ‘A Secret Vice’ Christopher Tolkien noted that the manuscript of ‘A Secret Vice’ appeared ‘without date or indication of the occasion of its delivery’ (Monsters and the Critics, p. 3), and he dated the essay to 1931 based on its reference to the July 1930 Esperanto Congress in Oxford as taking place ‘a year or more ago’. The impressive Tolkien Chronology by Scull and Hammond (2006) did not manage to uncover any further information either, so we had nearly given up hope, especially after a prolonged period of research in various Oxford clubs and societies. However, good old fashioned sleuth-work eventually uncovered that Tolkien delivered this paper for the Johnson Society, Pembroke College, on 29th November 1931. It was a real joy to find out that a lengthy report from that evening survived in the Johnson Society minutes (now reproduced in the book) and to discover more about Tolkien’s relationship with the society. To add even a small detail to Tolkien’s biographical information is no small feat, and I won’t forget the moment of discovery! What is more, both Andrew and I had the opportunity to present to the world our particular Tolkien finds (our “babies”) about which we were excited for a long time. For me, this was the brief essay on ‘Phonetic Symbolism’. I had discovered this little gem while doing my PhD research back in 2003, and I had worked on transcribing it for years after that (Tolkien’s handwriting, characteristically, starts very elegantly and gradually disintegrates into rushed jottings). I had referred to this essay in my book, Tolkien, Race and Cultural History (Palgrave Macmillan, 2008, pp. 88-9), but a request to reproduce it as an appendix was not granted to me back then (and I can definitely appreciate why – the essay stands in a much better place now, among Tolkien’s other related works). This essay is, for me, an important stage in the development of Tolkien’s linguistic ideas, and is quite bold in shaking the waters of contemporary scholarship, especially on philology and the causes of sound shift. Andrew had discovered his particular Tolkien “find” while doing his own PhD (which I supervised) in 2012: a few pages from ‘A Secret Vice’, omitted from the original edition, which outline a sketch for a hitherto unknown invented language by Tolkien, Fonwegian. Andrew’s PhD centred on Tolkien’s linguistic invention as a lens through which his early mythology can be re-evaluated and illuminated afresh, so the discovery of Fonwegian was an important moment for him (and for Tolkien scholarship). He talked about it at the International Congress on Medieval Studies at Kalamazoo in May, and his paper is now available to read via the Journal of Tolkien Research here. One question that I have been asked a lot since the book was announced, is how much “new” Tolkien it contains. Well, I’ve had a go at quantifying this, and I have a visual representation and a number for you! First, with some trepidation, I am presenting below my hand-drawn diagram of the contents of MS Tolkien 24 as it sits in the Bodleian. I drew this for me and Andrew back in February 2015, when we were still grappling with a major editorial decision: how to present the material in MS Tolkien 24 in the new book*. As you will see, each square in the diagram represents a page (or rather a side of a page – F: stands for ‘folio’, r: recto, v: verso). The order here is exactly as in the folder in the Bodleian, so the folder begins with the ‘Essay on Phonetic Symbolism’ (here coloured pink – my brain works better with colour-coding), then ‘A Secret Vice’ itself (here coloured yellow), interspersed with pages that were not included in the original edition in The Monsters and the Critics (here coloured in green), followed by miscellaneous notes and drafts (also coloured in green). Most of the white pages are either blank or contain random notes, not related to the two essays presented in our volume. 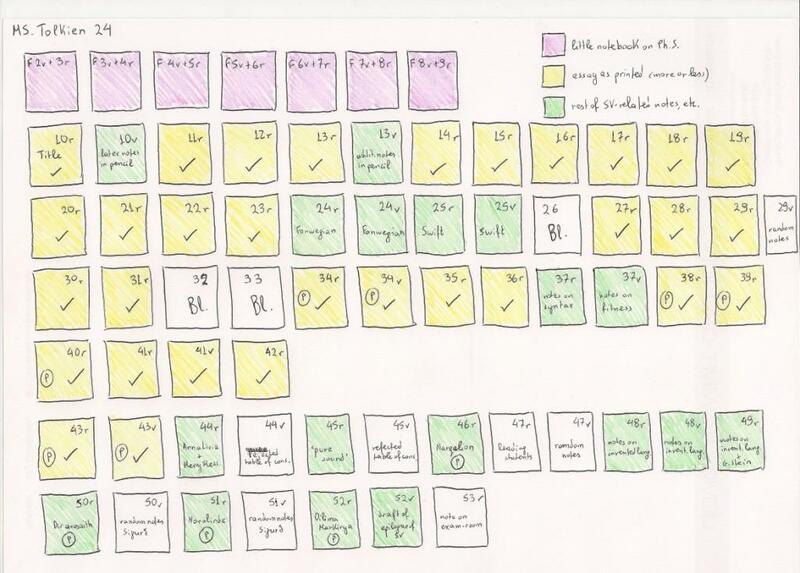 So the new material by Tolkien is (roughly) represented by the squares coloured pink and green in the diagram**. I also attempted a word-count of the “new” Tolkien in the book and can confirm that our ‘extended’ edition of ‘A Secret Vice’ comprises approximately 4,500 words of new material by J.R.R. Tolkien. I am quite happy with that! In the midst of all of this I got an e-mail notification that my latest ILL has arrived (A Grammar of Iconism, by Anderson) – I called Cyncoed library and it’s already there so I need to pick it up pronto! And as I am writing this I am on a live chat with the Bodleian (via SOLO) trying to ascertain whether the complete set of transition held in the Bodleian was acquired at the time of publication or later (Stein and Joyce appear many times in many of the issues). I am still somewhat stunned that this project has been completed, that the book is out, and that there are people out there reading it right now! As promised above, tomorrow I will try to capture some of the reactions and reviews of readers so far. *Although we toyed with the idea of presenting the ‘Essay on Phonetic Symbolism’ first, in order to reproduce the order of the folder, following feedback from Christopher Tolkien we gave prominence to ‘A Secret Vice’, which – as the main essay – deservedly appeared first, followed by the ‘Essay on Phonetic Symbolism’ and then the rest of the manuscripts and drafts. **This isn’t an exact representation, but a rough visual one. Those of you who know the text well will notice that Folios 50r, 51r and 52r were included in the original edition of ‘A Secret Vice’, but also that we ended up including in this volume (for good reasons, I think), folios 44 and 45v which are not coloured in this diagram. Fimi, Dimitra (2008) Tolkien, Race and Cultural History: From Fairies to Hobbits. Basingstoke: Palgrave Macmillan. Higgins, Andrew (2015) The Genesis of Tolkien’s Mythology. Unpublished PhD Thesis: Cardiff Metropolitan University. Scull, Christina & Hammond, Wayne (2006) The J.R.R. Tolkien Companion and Guide: Volume 1: Chronology. London: HarperCollins. Tolkien, J.R.R. (1982) The Monsters and the Critics and Other Essays, edited by Christopher Tolkien. London: Allen & Unwin. Tolkien, J.R.R. 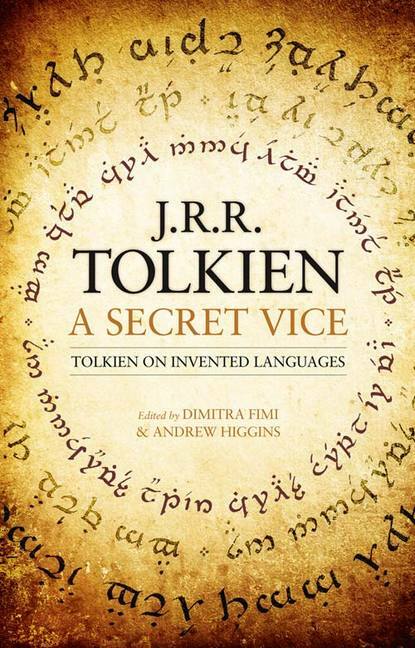 (2016) A Secret Vice: Tolkien on Invented Languages, edited by Dimitra Fimi and Andrew Higgins. London: HarperCollins. The more I learn about your book, and hear you and Andrew talk about it, the more excited I am to read it. Thanks Tom! I hope you will enjoy it!